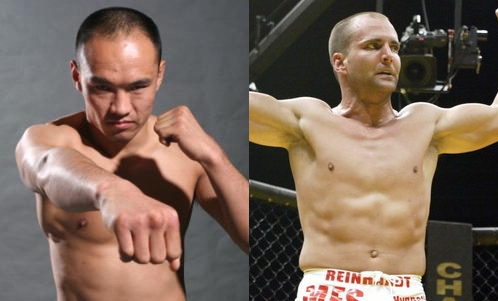 The supposed to be Zhang vs Karalexis for WEC 51 is now a brawl between Tie Quan Zhang and Jason Reinhardt. Will "The Mongolian Wolf" howl for victory in Broomfield, Colorado? Last Tuesday, World Extreme Cagefighting has confirmed that Jason Reinhardt will face Tie Quan Zhang on September 30 for WEC 51. Tie Quan “The Mongolian Wolf” Zhang, from Mainland China, was originally enlisted to face Alex Karalexis. However, Karalexis was forced to withdraw from the bout last week. The Mongolian Wolf, who currently resides in Beijing, is sporting a perfect 16-0 record in the match. To duel against him is Jason Reinhardt, a touch mid-western fighter that carries a peerless record of 20-1. His only defeat was against Joe Lauzon on UFC 78. WEC 51 is set to step in on September 30, at 1STBANK Center in Broomfield, Colorado. The event will crowd-pull the first title defense of Featherweight kingpin Jose Aldo against Manny Gamburyan.